According to Bear Creek Smokehouse in Marshall, they will begin serving lunch on Wednesdays and Saturdays. MARSHALL, Texas — Beginning Wednesday, February 13, a popular East Texas BBQ company will begin offering lunch on select days. Located at 10857 State Highway 154 in Marshall, Bear Creek Smokehouse was recently featured on Oprah Winfrey's list of favorite things for January 2019. Winfrey highlighted their bottled soup mixes. "Get your grandma on with a bottle of dried herbs, seasonings, and vegetables that turn into a gorgeous soup," Winfrey said. "These mixes are pretty enough for gifting and, with a few add-ins, hearty enough for a meal." 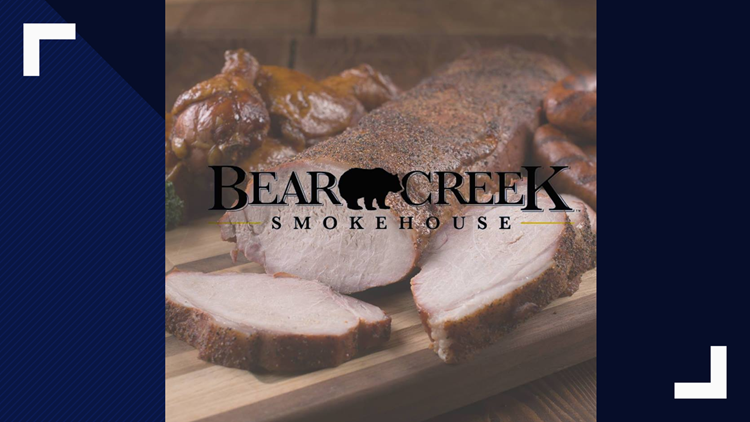 Bear Creek Smokehouse is open Monday-Friday, 9 a.m. - 6 p.m., and Saturday, from 9 a.m. - 5 p.m. They are closed on Sunday.